The European Court of Human Rights has recently delivered a judgment in the case of Hutchinson v the United Kingdom. The applicant in this case is serving a life-long imprisonment sentence. It means that he will never be eligible for an early release. Two years ago in the case of Vinter the Court ruled that such a practice is incompatible with the Convention. This short comment examines whether the new judgment develops or modifies the principles established in Vinter. In July 2013 the Grand Chamber of the European Court of Human Rights delivered a judgment in the case of Vinter and others v the United Kingdom in which it found that life imprisonment without a prospect of release violates Article 3 of the Convention – prohibition of torture, inhuman and degrading treatment and punishment. According to English law some convicted criminals can be sentenced to life imprisonment without parole, and this was considered as a violation of the Convention by the ECtHR. As judge Power-Forde stated in her concurring opinion the prisoners should retain the right to hope. In Vinter, the ECtHR emphasised that the right to hope builds on human dignity and fuels the indispensable purpose of rehabilitation. The Court found a violation in this case because English law has not offered any real opportunity to review life-long sentence without parole. This was held so, despite the fact that in theory the Secretary of State had a power to release a prisoner in exceptional circumstances. However, these exceptional circumstances were narrowed down by the ‘Lifer Manual’ to those prisoners who were terminally ill or physically incapacitated. As was rightly pointed out by the Court such compassionate release cannot be even considered as a release at all. In Vinter, the Court did not demand an immediate release of the applicants but only held that a legal system which does not offer effective and clearly defined hope to release violates Article 3 of the Convention. While the ECtHR decision in Vinter did not immediately help the applicants in that case it had significant implications on the case law of the ECtHR itself. One of those implications is evident in the case of Trabelsi v Belgium in which the Court found that extradition of the applicant to the state where he could face life imprisonment without parole would violate Article 3. The logic in this case is simple: if this type of life imprisonment is a violation of Article 3, then the risk of such treatment in the receiving state should halt the extradition. Vinter has more fundamental implications. In this judgment the Court emphasised its adherence to the ideals of rehabilitation and reintegration of dangerous criminals. It is hard to comprehend how life-long incarceration could support rehabilitation of such prisoners – life-long sentences remove from both the prisoners and the prison authorities any incentive to reintegrate the inmates into the society. Effectively, a life-long imprisonment means the social death of the inmate. With Vinter in mind, this approach has to change. The Contracting Parties have an obligation to introduce programmes of rehabilitation even for those who serve life imprisonment in order to make release (although, remote) a possibility. 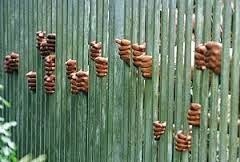 A prisoner-centred penitentiary system should leave an inmate a chance to reintegrate into the society. Finally, Vinter is a logical step forward in liberalisation of criminal punishment. Vinter signalled the dissolution of the social contract according to which the death penalty was replaced by a life-long sentence. 3 February 2015 the Chamber of the European Court of Human Rights delivered a judgment in Hutchinson v the United Kingdom. The facts of this case are very similar to the ones in Vinter v the United Kingdom. The Chamber did not find a violation of Article 3 of the Convention as the ECtHR was of the opinion that the English Court of Appeal has now sufficiently clarified the law in relation to release by the Secretary of State in exceptional circumstances. The ruling of the Court of Appeal was that despite the fact that the ‘Lifer Manual’ was not amended, the Secretary of State is nevertheless bound directly by the decision of the European Court of Human Rights in Vinter. It effectively means that the manual is not good law any more. But which law is good law then is still unclear. If the Secretary of State considered this part of the Lifer Manual as invalid he would arguably have amended it by now. In Vinter the Court found a violation because English law was not sufficiently clear; now English law is arguably even less so. This ruling may prepare the ground for new litigation in England. As it was rightly stated in the dissenting judgment by judge Kalaydjieva, this judgment is pre-mature as it pre-empts effective changes in English law. Undoubtedly, the United Kingdom enjoys a broad margin of appreciation in regulating its penal policy but this margin has its limits and the Court set clear limits in Vinter. One can therefore argue that the Chamber of the ECtHR in Hutchinson has effectively overruled the judgment of the Grand Chamber in Vinter. This has already been pointed out by English press. If this is the case, then the Court’s attitude to its own precedent does not satisfy the conditions of the rule of law. The principles adopted in Vinter were upheld in Hutchinson but their application was significantly curtailed. It is highly possible that this case might be referred to the Grand Chamber and then the judgment of the Chamber might be revoked. According to the Convention the parties to the case have 3 months to refer the case to the Grand Chamber. It is up to a panel of 5 judges to accept this case for the Grand Chamber hearing or not. It is likely that this case will be accepted. A similar scenario happened in the Roma school children segregation cases. In DH v the Czech Republic the Grand Chamber held that there was a violation of the anti-discrimination provisions of the Convention. In the subsequent case of Orsus v Croatia the Chamber did not find a violation in the situation significantly similar to DH. The Chamber judgment in Orsus was subsequently overruled by the Grand Chamber. It is quite possible that the same will happen in relation to Hutchinson v the United Kingdom. In Hutchinson the Chamber has not explicitly overruled the Grand Chamber judgment in Vinter but the Court almost never does this explicitly. The concept of ‘bad law’ is not well developed in the Court’s case law. According to this concept, the Court should explicitly acknowledge overriding its previous judgment and explain its reasons for doing that. The European Court of Human Rights often leaves this issue ‘up in the air’ not clearly stating if the previous case-law is still valid. Having said that, the doctrine of evolutive interpretation forces the Court to overturn its previous rulings from time to time. The Convention itself does not make the Court adhere to its own precedents which is nevertheless almost always done in practice. It is possible that the Court decides that Hutchinson has only clarified Vinter. This assumption however is highly contestable for the reasons mentioned above. Does this case signal a trend in the Court’s case law? Are there going to be more highly politicised judgments in favour of the United Kingdom prior to the 2015 elections? 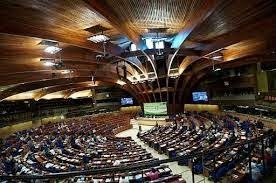 Is the European Court of Human Rights a strategic actor that can sacrifice certain achievements in certain areas of human rights protection in order to save the “Strasbourg project”? The Court’s judgments in the next few months are crucial for answering these questions. In England, the level of hostility towards the European Court of Human Rights is indeed very high and the behaviour of the United Kingdom towards the Court can determine how influential the Court will be in the following decades. Having said all that, one can wonder what price the Court should and is prepared to pay to have the UK on board. Last week, two new judges were elected to serve at the European Court of Human Rights. In respect of Bulgaria, the newly elected judge is Yonko Grozev. He received 108 of 187 votes cast. Grozev wil succeed Zdravka Khalaydjieva. With his election the Court seems to gain a solid voice for human rights, at least judging from his CV: he is an active human rights lawyer, having taken cases both to Bulgarian courts and to the European Court itself. In fact, it is fair to say that he has litigated in a large number of the most notable ECHR cases concerning Bulgaria, including Anguelova, Hasan and Chaush, Al-Nashif, Nachova, and M.C. In addition, he was a founding member of the Bulgarian Helsinki Committee and involved in a range of other human rights NGOs. He has also trained numerous lawyers in ECHR jurisprudence. His term of office (nine years) will start within three months. In respect of Serbia, Branko Lubarda was elected. In the first round none of the three candidates managed to receive an absolute majority and Mr Lubarda ended second. in the second voting round he obtained a majority: 90 of 159 votes cast. He is currently professor of labour law at the University of Belgrade. He has been active, amongst others, in state institutions fighting corruption. Mr Lubarda will succeed the current judge in respect of Serbia: Dragoljub Popovic. One may note, in addition, that at the end of January the new Committee on the Election of Judges of the Parliamentary Assembly of the Council of Europe started its work, under the chairmanship of Klaas de Vries. General information on how the process of election of judges works, can be found here.